We know our Bollywood stars really well -- sometimes, even their dark secrets. But their non-star beaus/ spouses always keep off the limelight. See for yourself -- how many interviews of Shah Rukh Khan's wife Gauri have you read? How many times have you seen Juhi Chawla's businessman husband Jai Mehta in the newspapers? The trend continues in the younger generation of stars as well. So we decided to introduce the loves of these stars' lives to you. Take a look. Imran broke many hearts when he introduced his girlfriend of six years, Avantika Malik, to his fans. Daughter of Vandana Malik -- a board director of television channel TV 18 -- Avantika acted in the popular serial Just Mohabbat a few years ago. Not many know that 26-year old Avantika was earlier seeing childhood friend Ranbir Kapoor, who went to the same school, Bombay Scottish, as her. Shilpa Shetty seems very much in love with the man in her life, Raj Kundra. A UK-based entrepreneur, Raj is a leading businessman in Britain. The couple met when he was launching Shilpa's perfume S2 in UK. He also launched her DVD on yoga. According to media reports, Raj left his first wife Kavita to have a life with Shilpa. But the couple deny this. Shilpa and Raj Kundra have a 12 percent stake in the Indian Premier League team Rajasthan Royals. There were rumours that the couple will wed in October. Let's wait and watch. Neha Dhupia chose squash pro Ritwik Bhattarcharya to be the man of her dreams. 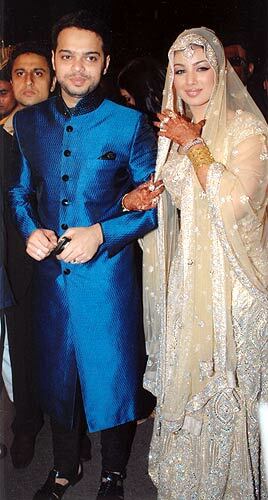 The couple started dating in January 2006 after she broke up with Sohail Khan's brother-in-law, Bunty Sachdev. Ritwik, for those who don't know, is the number one squash player of India, and is also the first Indian squash player to participate in the Commonwealth Games. Their wedding plans are currently on hold, as Neha wants to concentrate on her career. It is said that the way through a man's heart is through his stomach. But it seems to be the other way around in Eesha's case. It was Mumbai restaurateur Timmy Narang, who found the way to Eesha's heart. Preity Zinta played cupid to the jodi after Eesha split with her long time actor boyfriend Inder Kumar. Apparently, the wedding is scheduled for this November. Eesha isn't the only actress dating a restaurateur. Ayesha Takia recently wed hotelier Farhan Azmi, and even campaigned for her father-in-law -- Samajwadi leader Abu Azmi -- when he stood for elections last month. 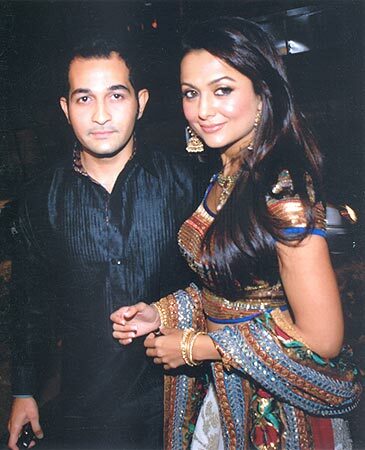 Amrita Arora solemnised her relationship with builder Shakeel Ladakh in March. The newly-weds had a Christian wedding as well as a nikaah ceremony. Ladakh, who is a divorcee, courted Amrita for six months before tying the knot. Arjun and Mehr were both popular supermodels in the 1990s, and marriage seemed on the cards. Born into a Parsi family, Mehr was crowned Miss India 1986, and was one of the highest paid models in the fashion industry. She has now retired, and runs a modelling school and agency. She has also produced Arjun's film, I See You, a dud at the box office. Deepti was the general secretary of her college festival when she met husband-to-be Shreyas, who was a chief guest at the festival. In those days, Shreyas was just doing a serial called Aabhal Maya. They got married in December 2004. The day after their wedding, Shreyas left for Hyderabad to shoot for Iqbal, the film that made him a star. Deepti is a clinical child psychologist. The serial kisser of the industry almost stopped kissing when he married Parveen, a pre-school teacher. 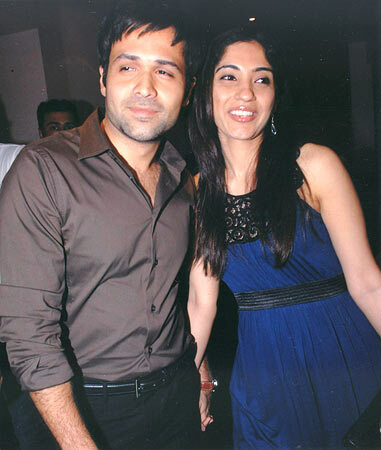 Emraan and Parveen courted for four and a half years before they got married last December.